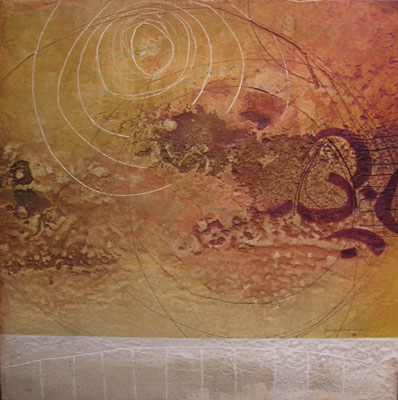 Linda L Nardelli was born in Montreal Quebec and has been a resident of British Columbia since 1986. 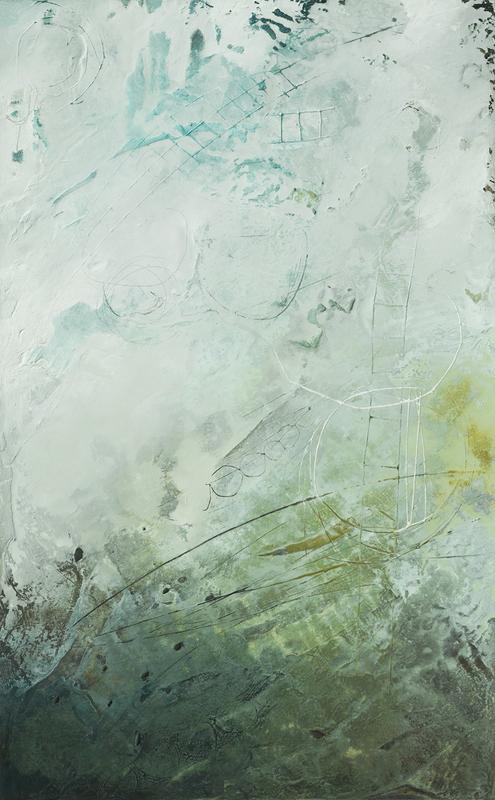 She now lives and works on the Sunshine Coast, BC. 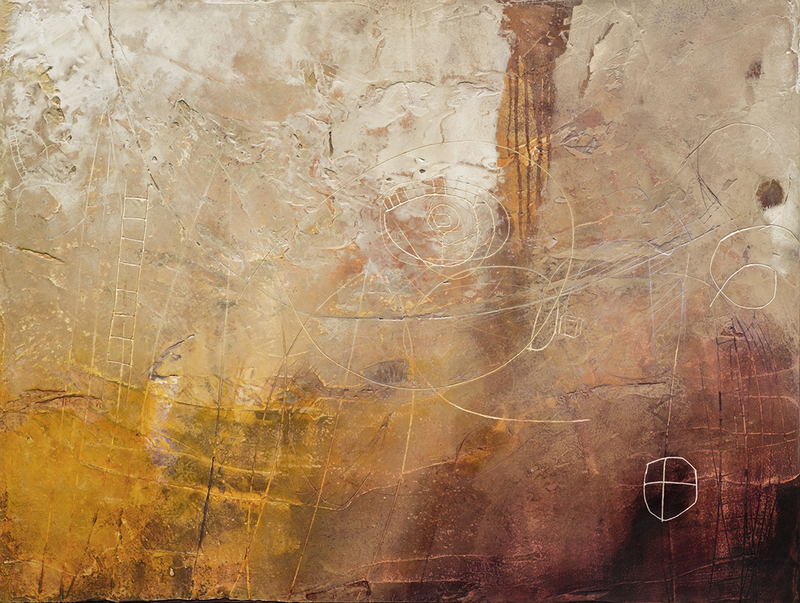 Her career has spanned the last 20 years since receiving a diploma of Fine Arts at the Okanagan College/University, and training in the art of Trompe L'oeil Murals, Realism and Faux Finishing. 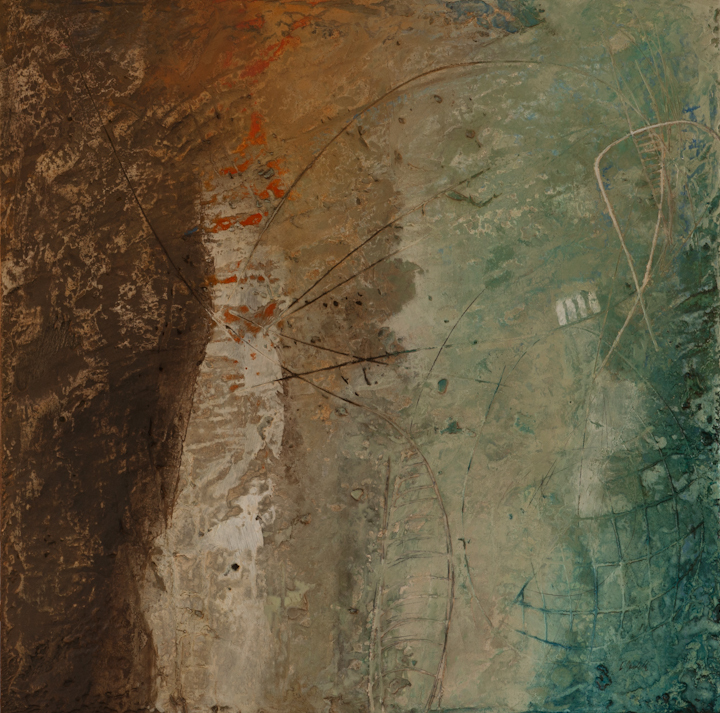 Her deep love of nature inspires in her a passionate interest in layered textures and the interplay of shapes and movement, found in rock formations, the forest, landscapes, and the sea. 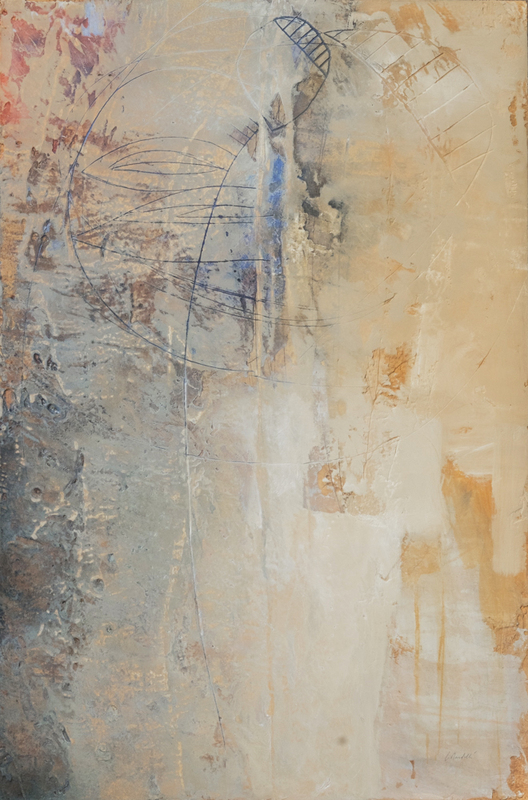 She is moved by the essence of artistic expression, the feeling quality in art that balances contrasting elements. 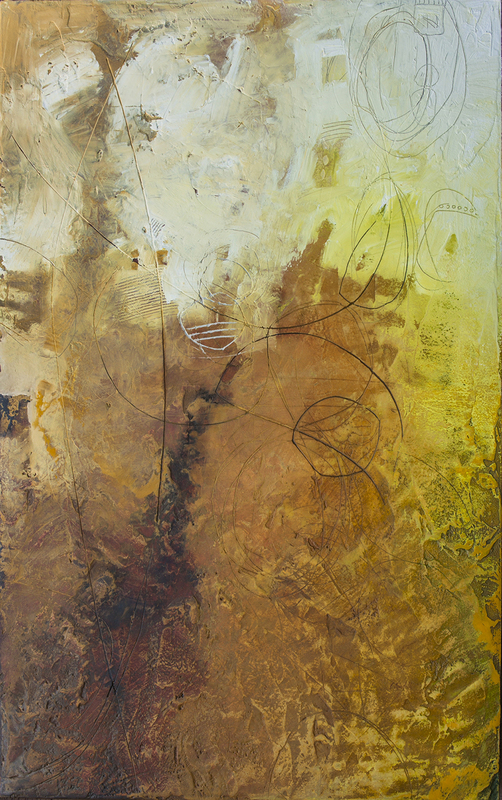 Linda paints the wind, the sound of laughter, love and loss—the sentient perception of subjective experience. 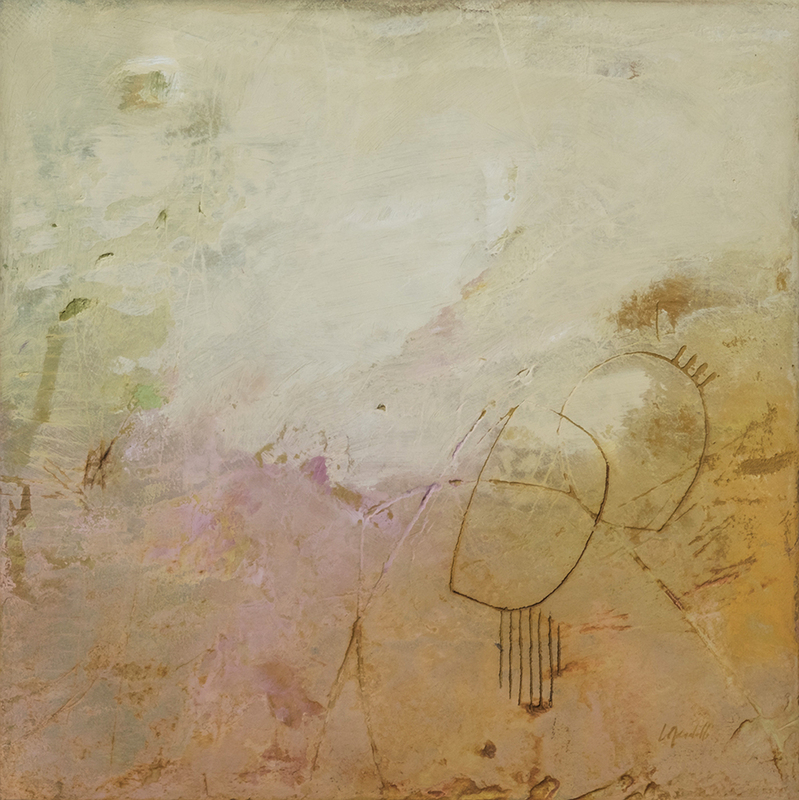 She looks for the visual grace that embraces deep feeling, spirituality and balance. 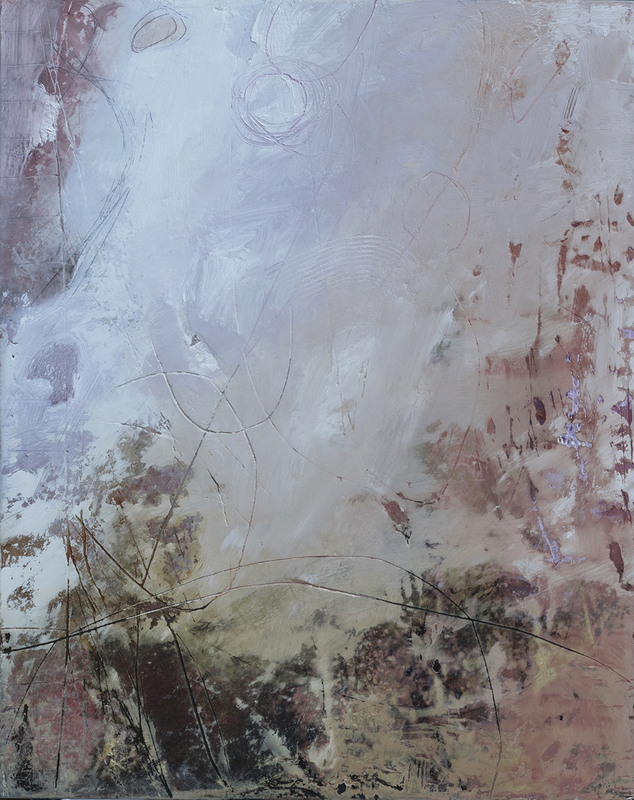 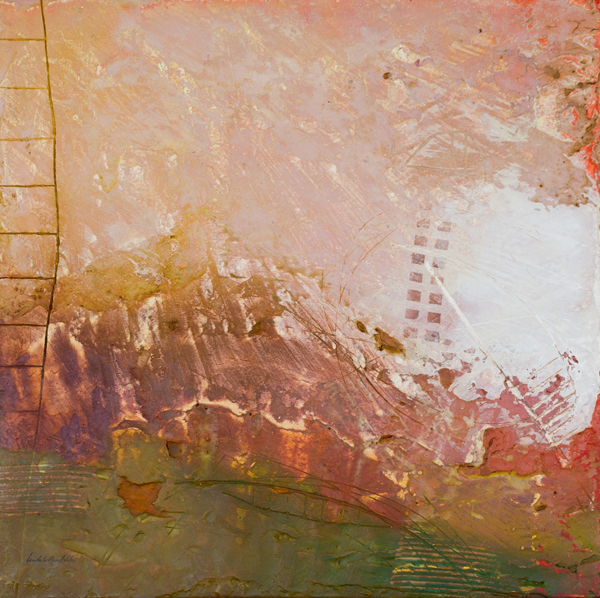 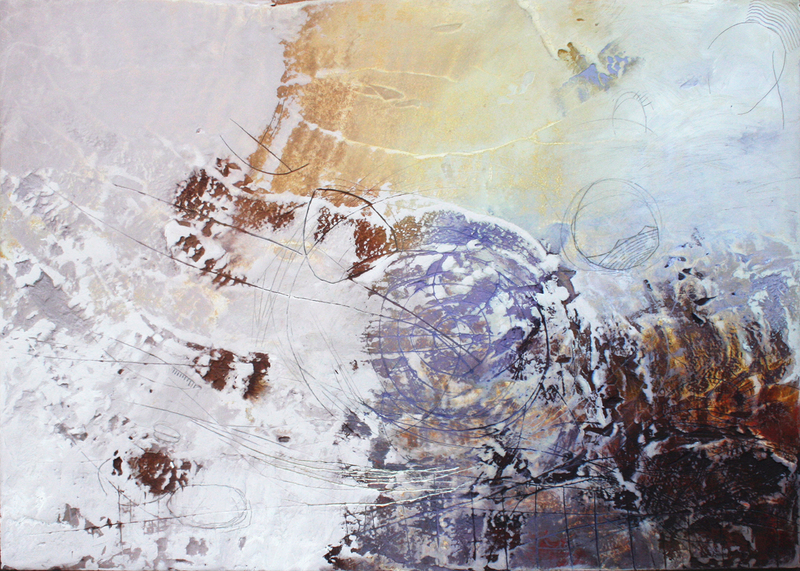 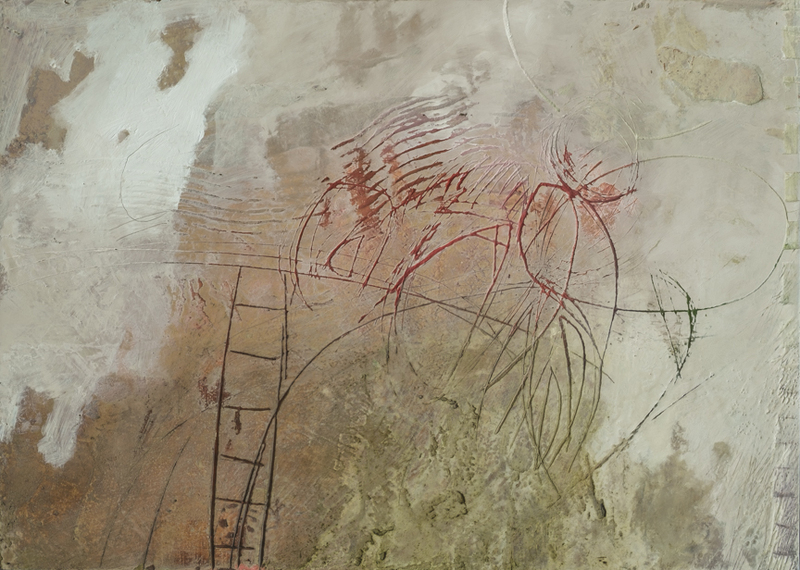 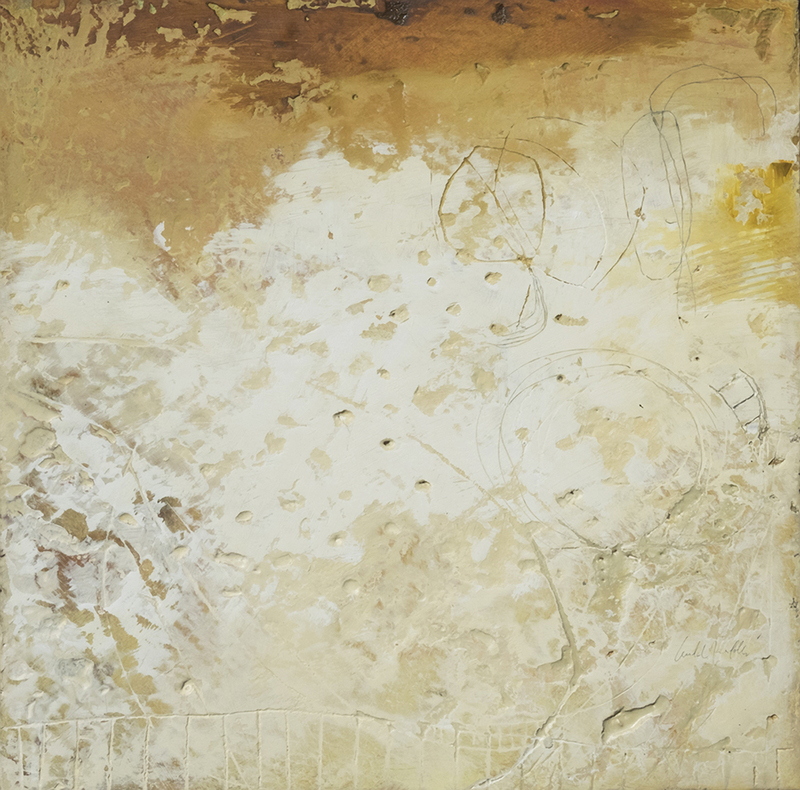 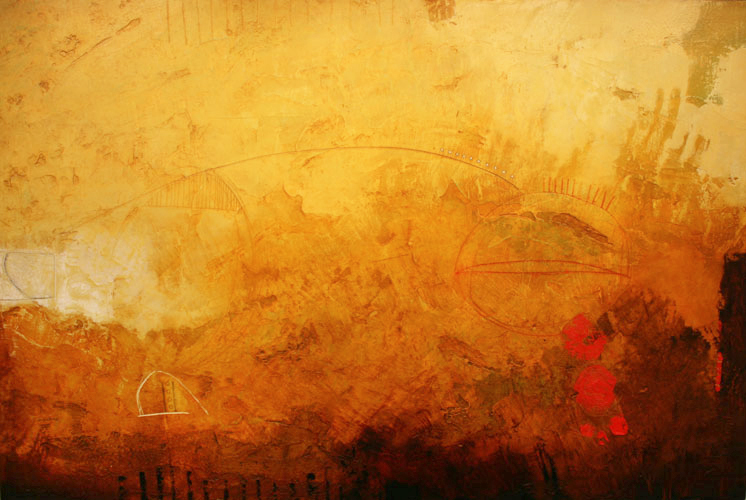 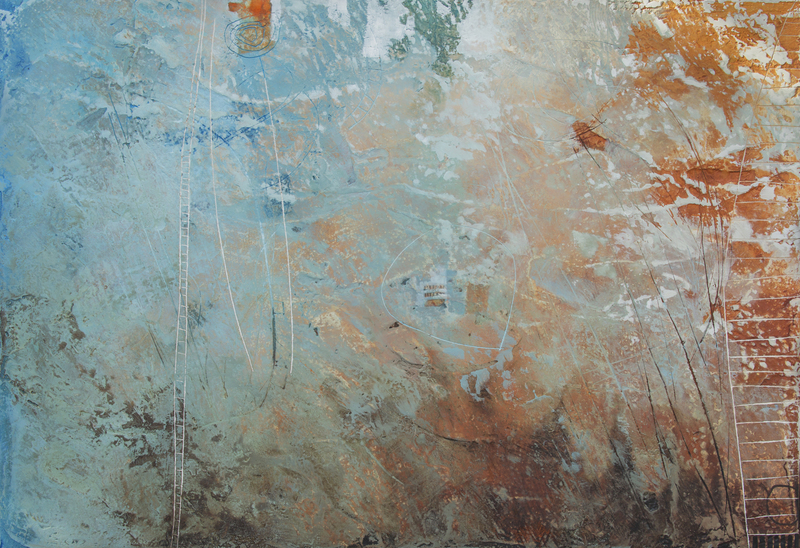 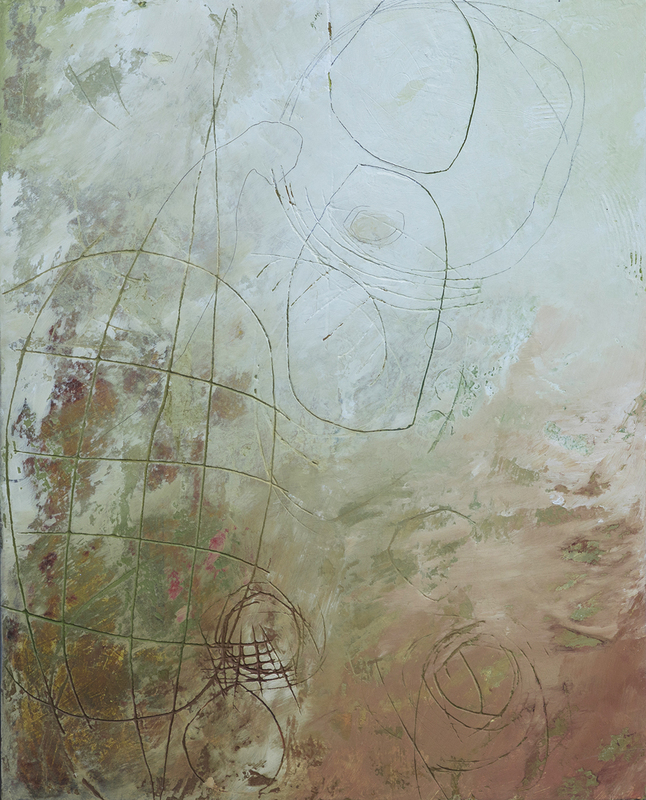 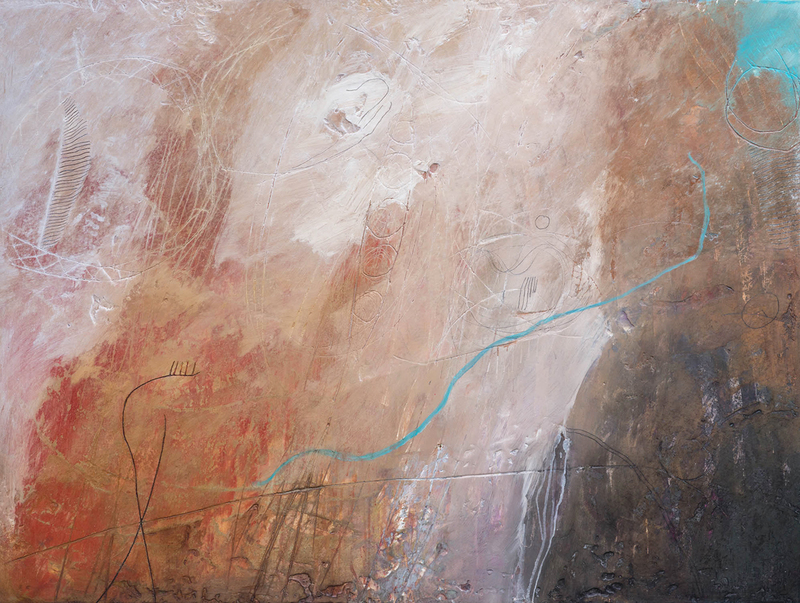 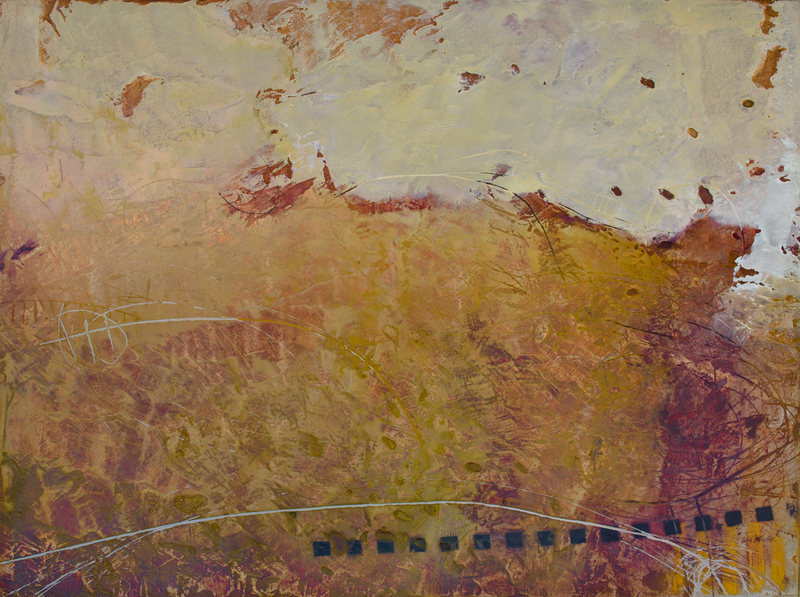 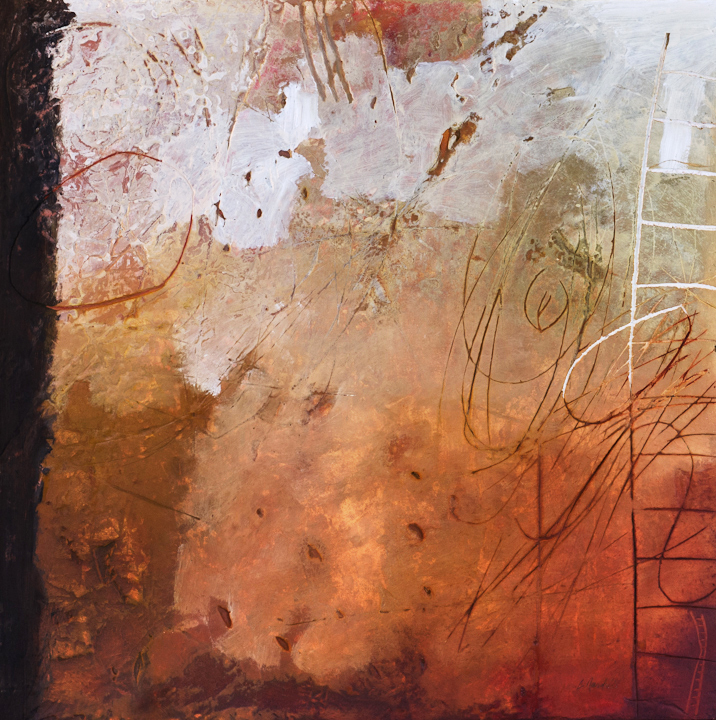 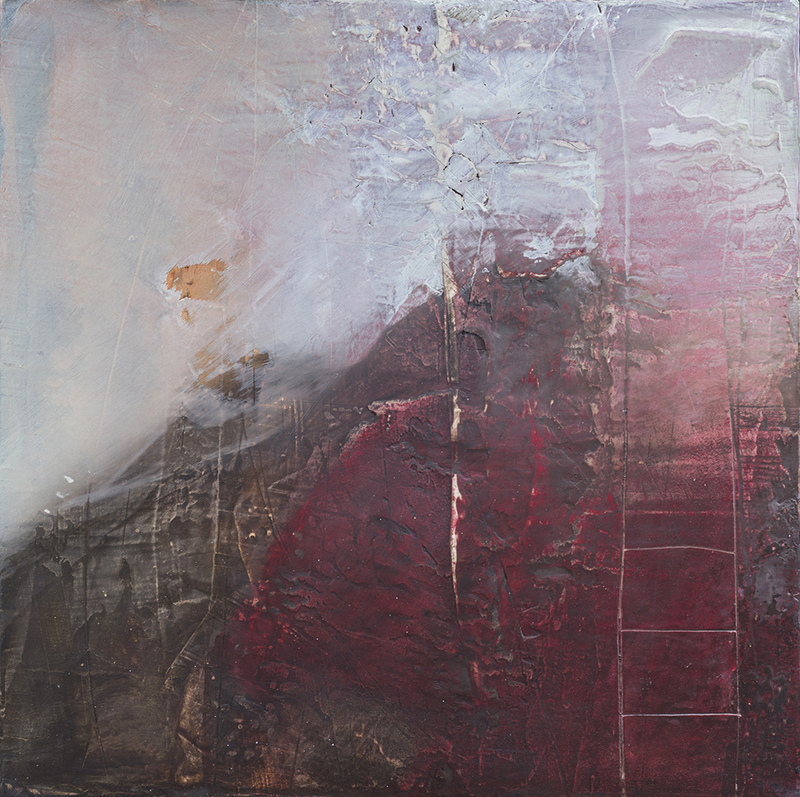 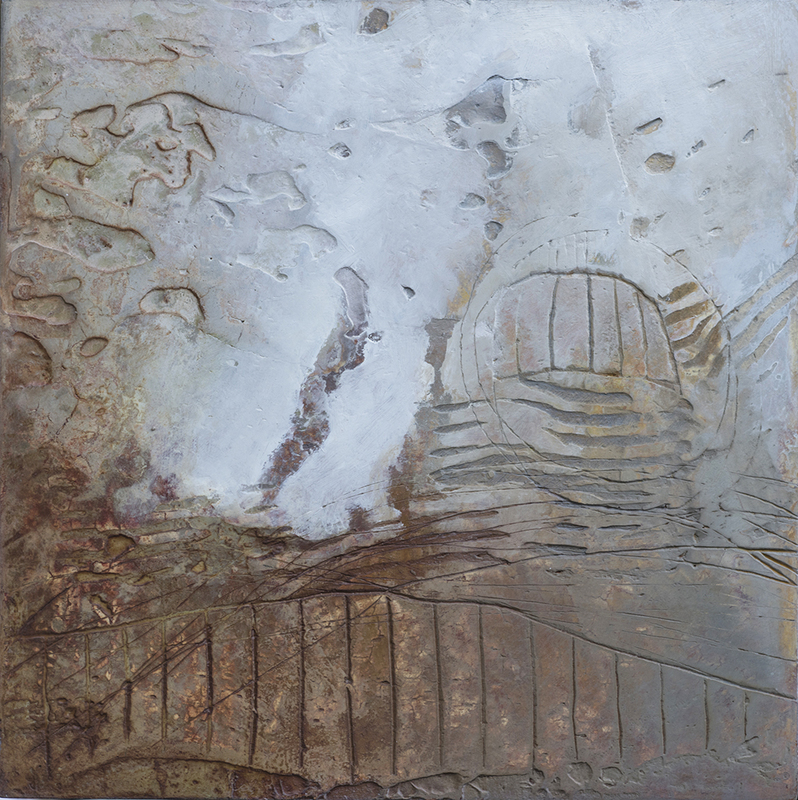 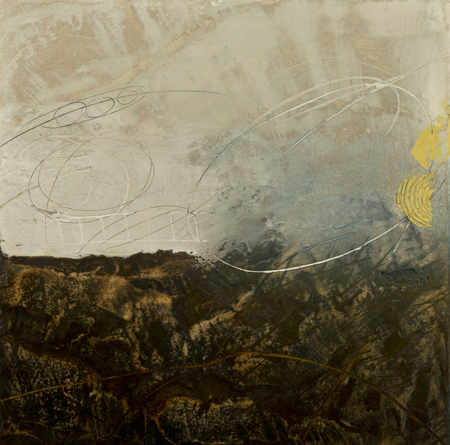 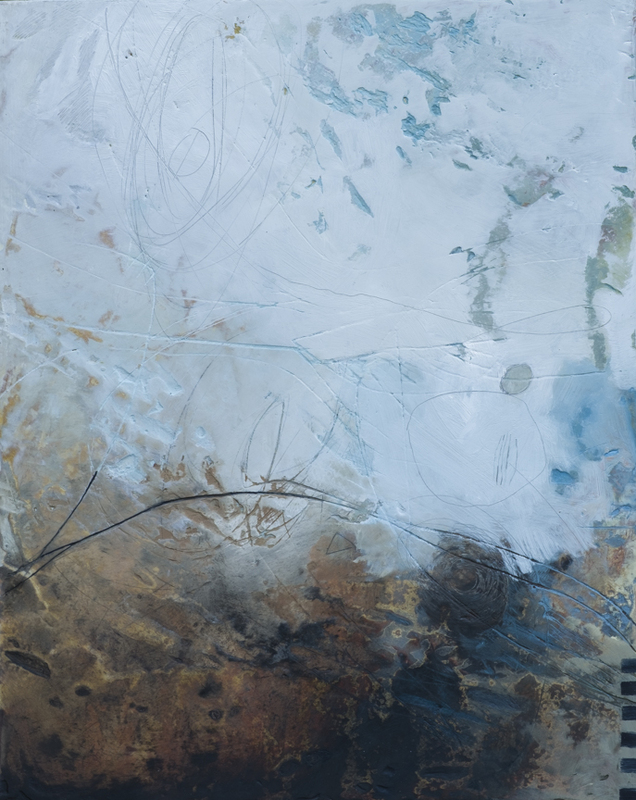 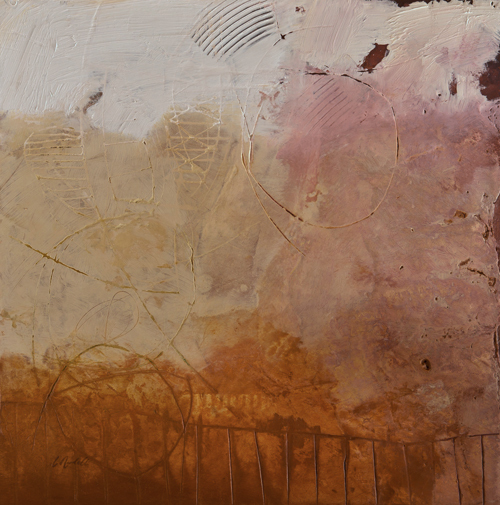 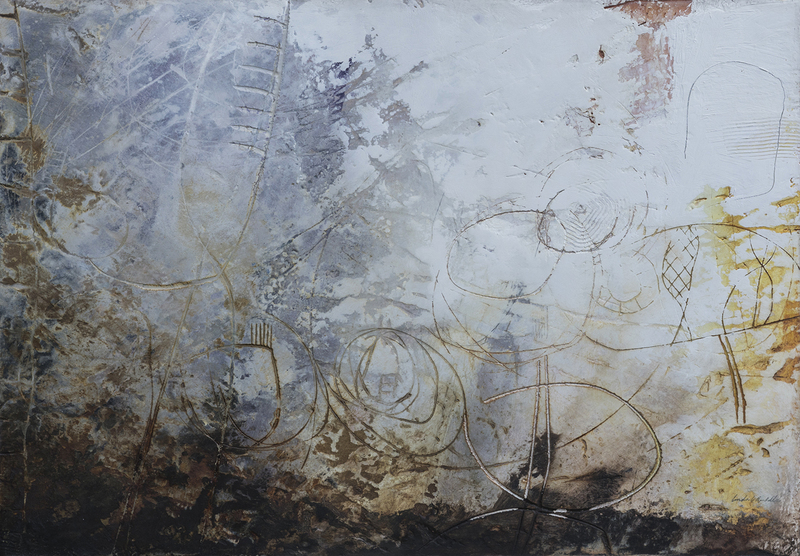 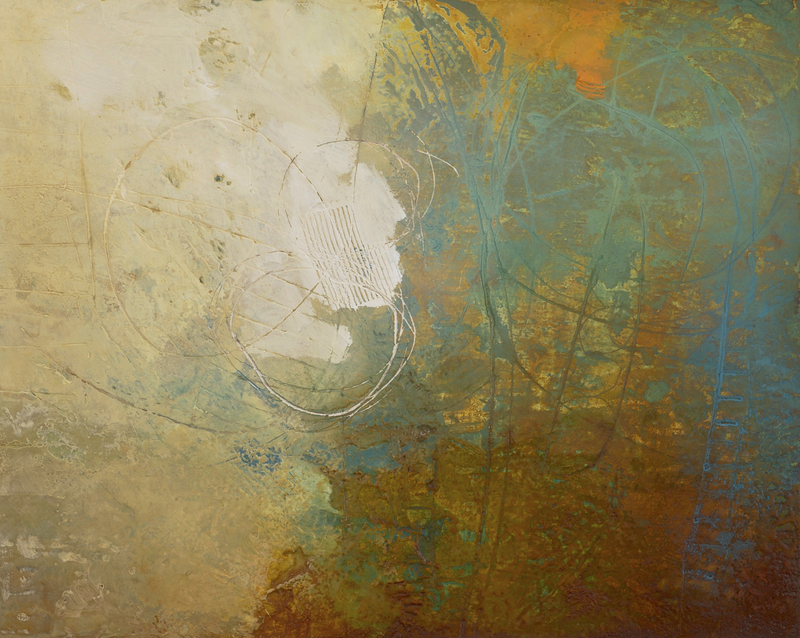 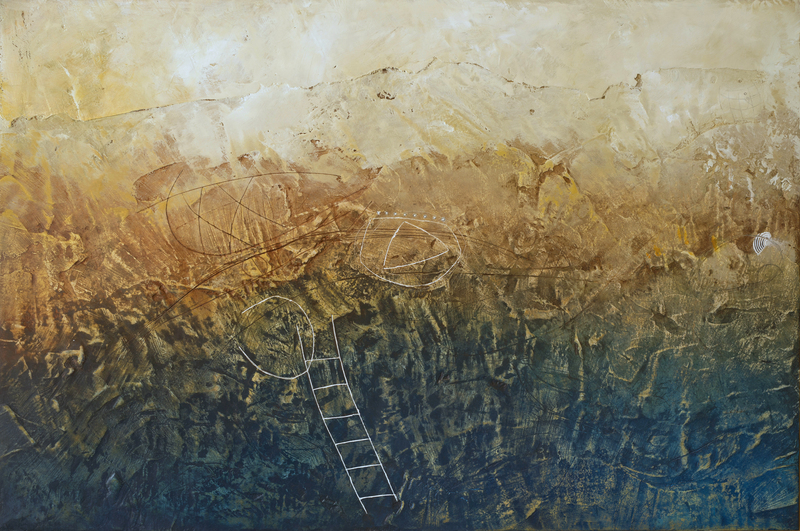 Linda’s work is layered like mineral deposits and time with cement/plaster texture and acrylic washes, and then brought to life with rich oil glazes and encaustic medium. 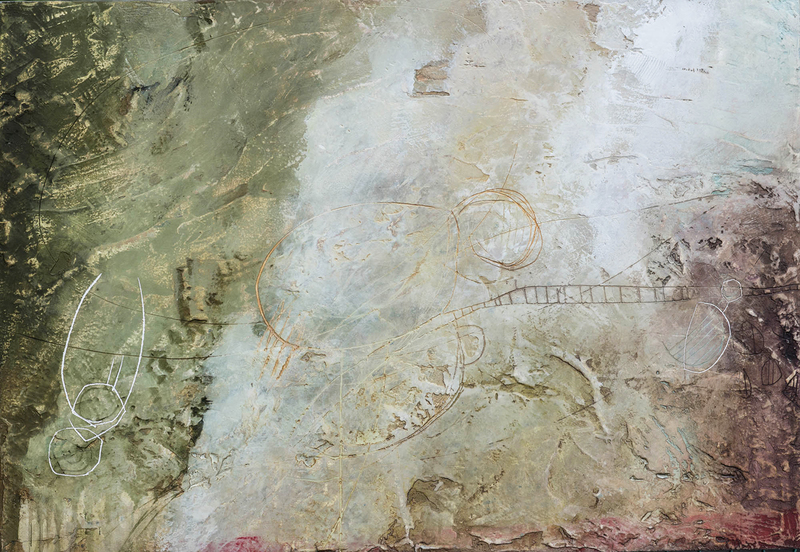 Her interest in cave art, etched engraving and graffiti brings a distinct quality to Linda’s art, adding a expansive layer of symbols formed by scratched markings in overlays and interlocking patterns. 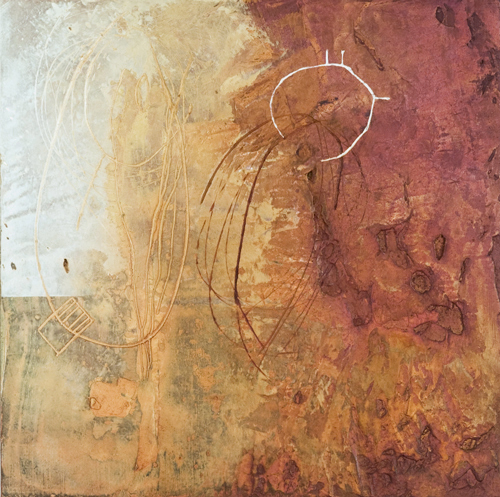 These symbols represent the dialogue between external stimulus and internal reflections, bringing to the foreground the deeper subconscious mind, intuition and playfulness.